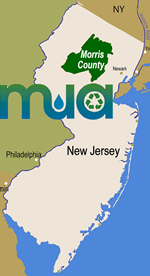 Public notice and other notice of proposals being solicited by the MCMUA through a fair and open process in accordance with N.J.S.A. 19:44A-20.4, et. seq. are provided below. Notice of intent to Award Contract under a National Cooperative Purchasing Agreement for (2) Wheel Loaders, SourceWell Contract #032515-VCE. It is the intent of the Qualified Purchasing Agent to recommend to the MCMUA to make a contract award with Hoffman Equipment Company, pursuant to the proposal submitted in response to SourceWell’s Request for Proposals. Notice of intent to Award Contract under a National Cooperative Purchasing Agreement for (1) Packer – Rear Loader and (1) Roll-Off, SourceWell Contract #081716NVS. It is the intent of the Qualified Purchasing Agent to recommend to the MCMUA to make a contract award with Deluxe International Trucks, Inc, pursuant to the proposal submitted in response to SourceWell’s Request for Proposals. All proposals must be submitted on the proposal forms approved and provided for by the requests for proposals in order to be considered. The MCMUA reserves the right to reject any and all proposals that substantially or materially deviate from the specifications and other required documents, and further reserve the right to waive minor irregularities and immaterial variances and formalities in the proposals. This Request for Proposals has been advertised in accordance with the "Fair and Open Basis" and nothing further shall be required under the Pay-to-Play Legislation (N.J.S.A. 19:44A-20.7).